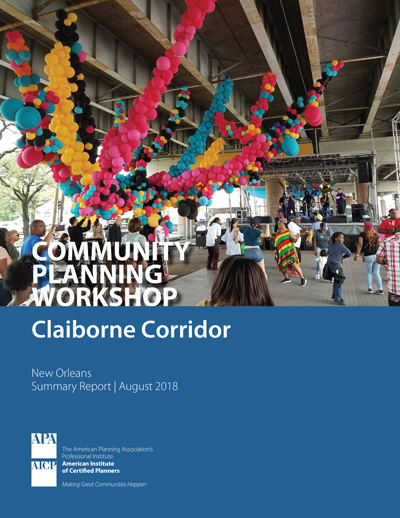 This report summarizes the 2018 Community Planning Workshop that focused on affordable housing in the neighborhoods along the Claiborne Corridor in New Orleans. APA, the New Orleans City Planning Commission, and HousingNOLA worked with area stakeholders, civic groups, and residents to focus on specific issues and goals related to preserving community identity and affordable housing. At the workshop, they identified problems and collaborated to find policy, planning, and design-related solutions.